It is part of the exhibition titled “Sikhs: An Occidental Romance” that features 80 replicas of 19th and 20th century paintings featuring members of the Sikh community by western artists. 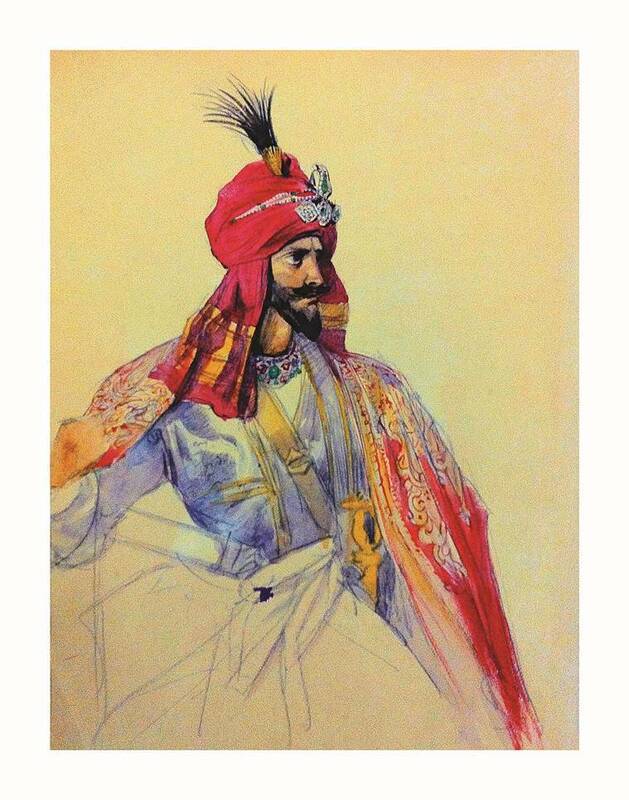 The first king of the princely state of Jammu & Kashmir, created after the defeat of the Sikh Empire in the First Anglo-Sikh War in 1845-46, Maharaja Gulab Singh Jamwal was the founder of the Dogra dynasty. An ally of the British, he was painted fondly by Charles Harding, son of Viscount Harding, the-then Governor General of India. 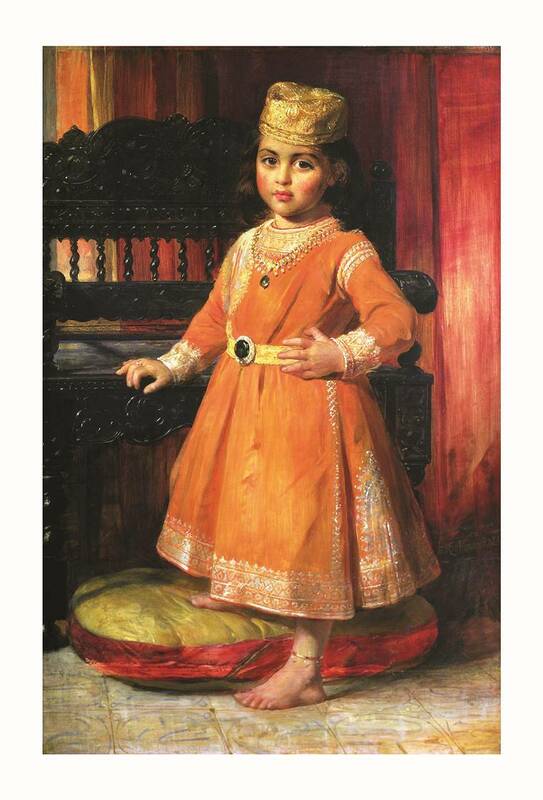 In the collection of Victoria and Albert Museum, an archival replica of the portrait has now travelled to Delhi. “We were seeing a profusion of paintings on the Sikhs. There was a great deal of diversity and they were done in a mode of admiration. When you look at Western art in India, usually the native was not admired, whereas every work of art on the Sikhs was done in admiration. We had to inquire and ask why this abnormality,” says Gautam Srivastava, founder of Hubris Foundation that studies artwork on India painted by western artists. A worldwide search was launched, and over the next six years, paintings featuring the Sikhs in over 50 museums across the world — including those in England, Germany, the US, Japan and Pakistan — were studied. A selection was made from over 200 works. “We realised that there was a peculiar phenomenon in the way in which the Sikh community enchanted the West over a period of time,” says Srivastava. Also on display is a portrait of Maharaja Ranjit Singh by Emily Eden, and a portrait of the young Prince Duleep Singh painted by Franz Xaver Winterhalter and commissioned by Queen Victoria. Son of Maharaja Ranjit Singh, Maharaja Sher Singh’s court painter August Schoefft painted Thugs of India in a populated scene. Austrian painter Rudolf Swoboda presents a view from the train window, of people waiting. Golden Temple also makes an appearance in the exhibition. If William Carpenter presents a serene picture with a clear sky, Charles William Bartlett paints its crowds. “We were trying to portray the breadth of history of a certain time, events in the community’s journey and the diversity of artists and styles,” adds Srivastava.